On this page we will outline the teachings of three strains of Pentecostal theology that have emerged over the past century. They are related to the Traditional Pentecostals, the 1947-1957 Healing Movement and the Latter Rain Movement. More detailed papers can be found elsewhere on this site. Pentecostals, like other evangelicals, have always adhered to the Bible's divine inspiration and inerrancy—the belief that the Bible, in the original languages in which it was written, is infallible and authoritative in all matters of belief and behaviour, doctrine and practice. The early Pentecostal church was very Biblically based like their forefathers who were ‘servants of the Word,’ (Luke 1:2) If God said it, so it was and so it shall be. The Pentecostal Movement began with this proposition. Practice was a product of doctrine. Charles Parham (1873-1929), initially a Methodist preacher, is most well-known for perceiving and proclaiming the truth of ‘The Baptism with the Holy Spirit with the initial evidence of speaking in other tongues. Around the turn of the century many were considering the Bible’s teaching on the ‘Latter Rain’ outpouring of the Holy Spirit and Christ’s premillennial return occurring after an unprecedented world-wide revival. Parham spent twelve weeks visiting evangelical, holiness and healing centres and became convinced that there was more experience of God available to His people. Isolated reports of xenolalic tongues amongst missionaries helped him begin the formulation of his doctrine of the Holy Spirit, spiritual gifts and end time revival. It was at his Bible School in Topeka that Parham set his forty students an assignment to determine the Biblical evidence of the baptism in the Holy Spirit and report on their findings in three days, while he was away in Kansas City. Soon after his return students began to experience the baptism in the Holy Spirit with speaking in tongues through the laying on of hands. In 1905, Parham established a new Bible school in Houston where William J. Seymour (1870-1922), a black Holiness revivalist, was a student. He, in turn, took the message of Pentecost to Los Angeles, where, on April 9, 1906, ‘the fire came down’ and many in the meeting, including Seymour himself, received the Pentecostal blessing. Rapid growth caused the move to a larger building at 312 Azusa Street where the Pentecostal Movement was born. Others built on the doctrines that were proclaimed at Azusa Street and within a decade the distinct Pentecostal doctrines were formulated. Pentecostal doctrine includes the main pillars of evangelicalism - the Bible as the inspired word of God, the Trinity, the person and work of Christ, the atonement, justification by faith, Christ’s second coming, heaven and hell and etc. But it was their pneumatology, the doctrine of the Holy Spirit, which set them apart. The main purpose of this experience is to receive power to witness and to live the Christian life and to open the door to a new life ‘in the Spirit’ which includes the ‘gifts of the Spirit,’ like tongues, interpretation, prophecy, healing, discernment of spirits, miracles and etc (1 Cor 12:1-10). Most Pentecostals believe that ‘speaking in tongues’ is the initial evidence of this baptism and that it is received through ‘the laying on of hands.’ These Biblical doctrines were evidenced by thousands at Azusa Street and these doctrines and experiences were spread across the world. Speaking with other tongues, prophetic utterances, physical healings and demonic deliverances were seen to be a part of the Christian Gospel, or further, an authentication of its truth Mark 16:17-18. By the 1920’s the cardinal doctrines of Pentecostal theology were popularised by Aimee Semple McPherson as the ‘Foursquare Gospel.’ The four descriptions of Jesus as Saviour, Baptizer, Healer and Coming King encapsulated Pentecost’s main message. They were already present in the 19th century holiness movement when A. B. Simpson authored a book entitled ‘The Four-fold Gospel’ identifying Christ as Saviour, Sanctifier, Healer and Coming King. 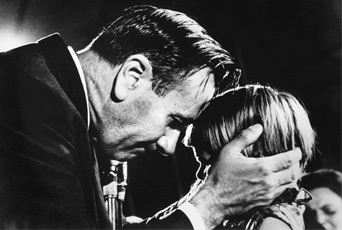 Mcpherson ‘pentecostalised’ the idea and it spread like wildfire in the Pentecostal world. By the 1940’s and 1950’s the Pentecostal Movement which had grown more sophisticated, organised and institutionalised, was in need of a fresh outpouring of the Spirit. There were some notable exceptions like Raymond T. Richey, Charles Price, Thomas Wyatt and Smith Wigglesworth who had kept the Pentecostal flame burning, but the larger portion of the Pentecostal church, particularly in America, was in danger of becoming another formal denomination. Nevertheless, many held convictions that were still deep enough to foster a longing for another Pentecost – a new revival. The older generation held thrilling memories of the supernatural ministries of 20’s and the young yearned for a new deluge of miracles. This was the setting in which the healing evangelists of the late 1940’s and 1950’s came. They embraced the foundational doctrines of the old Pentecostal Movement but God had infused a new anointing for healing in their ministries which struck the world with astonishing force. It was nothing short of a spontaneous movement of the Holy Spirit which was destined to touch every nation of the world. Healing was certainly at the centre of the revival but there were other allied doctrines and practices that came into sharp focus. These included the place of faith, the laying on of hands, the authority of the believer and the power of God’s word. Old doctrines such as healing in the atonement were revived. Spectacular gifts like the word of knowledge exercised by William Branham and a few others, released faith for healing on a grand scale and instigated a plethora of books and pamphlets on the gifts of the Spirit. Healing methodology was also reconsidered. T.L Osborn initiated mass-healing prayers in mega-sized overseas campaigns with astounding results. Others employed prayer cloths or anointed sick folk with oil. Demonology was another forgotten doctrine that was brought to popular attention. When the power of God descended demons were dislodged and deliverance became a common form of healing. Other related themes became popular in public meetings: giving to God, tithing, holiness, prayer and fasting. Eschatology too, particularly the signs of the times, became the emphasis of dozens of books and magazine articles, verifying the soon coming of the Lord. Eschatology was always more strongly emphasised in Pentecostal beliefs than in most other churches, but in the healing revival prophetic interpretations reached their zenith. A unique element in this revival was the volume of written materials that flooded the nations. The initial organ of the healing revival was the Voice of Healing which had a circulation of 30,000 each month in its first year (1948-9) and in June 1952 reported 100,000 recipients! Oral Roberts’ ‘Healing Waters’ was dispatched to 265,000 by 1953. Jack Coe’s ‘Herald of Healing’ reached a total of 250,000 people within 5 years of its launch in 1950. By 1958 T. L. Osborn’s ‘Faith Digest’ circulated 250,000 copies. Demos Shakarian’s ‘Voice’ reached 300,000 homes by 1972. By 1973 W. V. Grants monthly magazine, the ‘Voice of Deliverance,’ had reached a circulation of over 2,000,000 and had become the most widely circulated journal in the movement. In addition to these, Gordon Lindsay, the revival’s historian and theologian, wrote about 250 historical and doctrinal books and pamphlets. His overseas ‘native literature work’ distributed over 15 million books in 46 languages by 1973. In 1966, W. V. Grant claimed to have written 156 books; by 1974 the figure had passed 300 and was growing by at least one new volume each month. Hundreds of books had been written on healing and others themes popular in this amazing revival. The net result of this huge volume of reporting and teaching was that Pentecostal theology came alive and was put in the hands and homes of millions of Pentecostal people across the world. The Latter Rain Movement was an important but less-known element of the post-World War II evangelical awakening. Readers should know that the name "New Order of the Latter Rain," is a name that was never used by participants but was concocted by its opponents, suggesting cultic and offbeat spirituality. In reality it bore similarities to the early Pentecostal movement that originated at Azusa Street, Los Angeles, in 1906 and its main tenets are accepted by millions of Pentecostals and charismatics across the globe today. While its impact at the time was on a small scale, its effects were nevertheless felt worldwide and it became one of several catalysts for the charismatic movement of the 1960s and 1970s and the burgeoning new ‘apostolic churches’ of the 1980’s through to the turn of the 21st century. Today, in 2012 its teachings and practices have become the weekly diet of millions of believers. The Healing Revival brought a restoration of the supernatural gifts of the Spirit into full view. It would be true to say that the manifestations of the Spirit in the 1947-1957 revival not only restored but also superseded those of the earlier Pentecostal Revival. Similarly, the Latter Rain Movement was characterized by many reports of healings and other miraculous phenomena, historically occurring in parallel with the Healing Revival. Its more detailed history can be found elsewhere on this site. Though it emphasised the main doctrines of the healing movement, it provided far more revelation regarding the implications of the ministry of the Spirit with reference to eschatology and ecclesiology. Its theology put the ministry of the Spirit in the context of God’s end-time purposes and at the centre of local church life. It was these which began to permeate the worldwide church and which would provide the impetus for a new wave of apostolic church planting and the restoration of New Testament churches across the world. In February, 1948, at the Church of the Foursquare Gospel in North Battleford, Saskatchewan, Canada, God began to move very powerfully in the congregation. 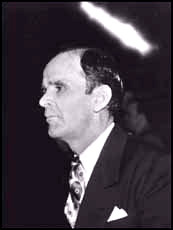 The leaders had visited the Branham campaign in Vancouver in late 1947 and were astonished with the power, volume and effect of spiritual gifts they saw exercised. Another notable observation was the way Branham ministered healing by the laying on of hands. This independent Pentecostal Church was strongly influenced by the church government practiced by a Scandinavian-American Pentecostal group whose official organ was the Herald of Faith, edited by Joseph Mattson-Boze. There was a strong anti-denominational stance as they believed that a locally autonomous, apostolically overseen and elder-led congregation was far nearer the New Testament pattern than centrally controlled denominations. Another influence was Franklin Hall’s teaching on the benefits of fasting which caused some to fast anywhere from three days to three weeks before the fire fell on February 12th, 1948. On that day God came. His awesome presence filled the room, many fell to the floor under His power and an intense sense of awe filled all present. During the days that followed public repentance, humbling, fasting and prayer were increased. There began an outpouring of gifts of the Spirit, especially healing, prophecy and revelations which increased through the laying on of the hands of the presbytery. As people became aware of these events, they flocked to North Battleford from all parts of North America and many parts of the world to the camp meeting conventions at Sharon (their orphanage and campus) publicized by The Sharon Star. Before long, the teachers from Sharon began receiving invitations to minister throughout North America. They stressed the imminence of the premillennial return of Jesus Christ, preceded by an outpouring of God's Spirit, which was expected in accordance with the "former rain" and the "latter rain" of Joel 2:28 (KJV). This was interpreted as a dual prophecy of the Day of Pentecost as described in Acts 2 and of the outpouring of the Holy Spirit that was to immediately precede the coming of the Lord. There was an emphasis on the baptism in the Holy Spirit and spiritual gifts, which were to be received by the laying on of hands, in contrast to the old Pentecostal practice of "tarrying" for the Holy Spirit that had become widespread during the years prior to the revival. In addition, church government by the ‘Ephesians 4 ministries,’ (apostles, prophets, evangelists, pastors and teachers) was endorsed and the restoration of worship, with the ‘song of the Lord’ (corporate singing in the Spirit) was introduced. It was these teachings that soon developed into a ‘Restorationist’ theology that brought fresh faith for a New Testament church across the world before the return of Jesus Christ. Let it be Lord! D. Harrell, Jr., All Things Are Possible (1975); Richard Riss, Latter Rain (1987); Art: G. F. Atter, Latter Rain, International Dictionary of Pentecostal and Charismatic Movements ed. Stanley M. Burgess, Gary B. McGee and Patrick H. Alexander (1988).